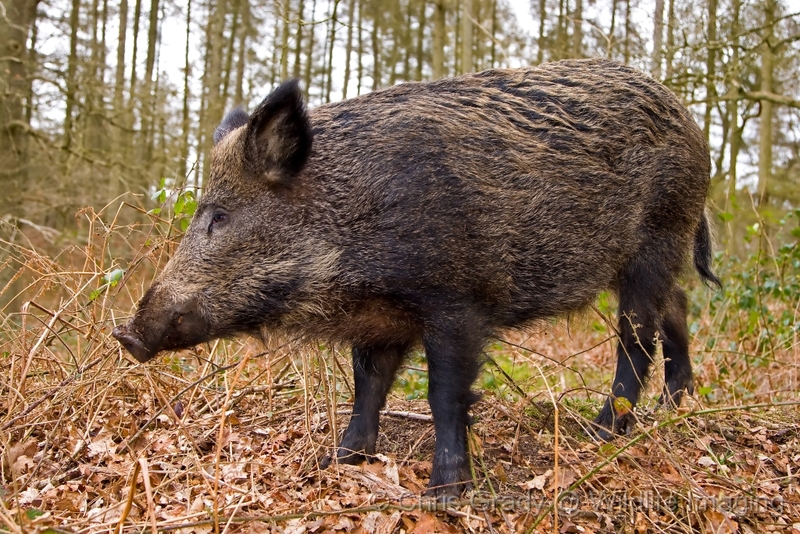 The risk of African swine fever entering the UK was officially raised from ‘very low’ to ‘low’ in August 2017, following the virus’ leap westwards in mainland Europe. This was because of fears that, despite the relatively low level of trade with infected areas, there could be a ‘substantial movement of people, vehicles and personal imports of pork products’ from Eastern Europe, notably Poland. A total of 7% of the UK’s total pork imports in 2016 came from Poland, while Polish registered lorries accounted for 21% of vehicles travelling through UK ferry ports in the third quarter of 2017. In light of this increased risk, Defra and APHA have teamed up with industry bodies, including AHDB, the Pig Veterinary Society and the NPA, in an awareness drive, including a social media poster campaign highlighting the risks of waste food. Susanna Williamson, APHA pig veterinary lead, said: “The biggest risk is pigs eating infected pork, wild boar or pork products either by being fed them, which is illegal, or getting accidental access. These might be brought into the UK by individuals as personal imports, although trade of such products is not permitted from ASF-restricted areas. “The virus can survive for months in smoked, dried and cured meats, and in frozen meat. 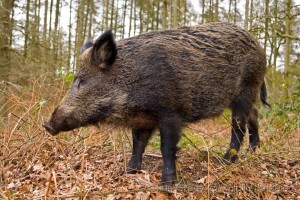 It can survive over a week in pig faeces and longer in the blood of infected pigs or wild boar. Mandy Nevel, AHDB senior veterinary manager, urged pig keepers to be vigilant in what pigs have access to eat and in looking for early signs of disease. “ASF is a devastating notifiable disease of pigs,” she said. “In 2018, the spread westwards and across Poland has picked up pace, with man-made spread via infected pork products responsible for large geographical jumps of the disease. “Whilst disease risk to UK is officially ‘low’, the risk is increasing. As an island state we should be more able to control imported infected products entering the UK but with large numbers of people travelling to the UK from infected areas, this is difficult. We need a concerted effort from everyone in the UK who has responsibility for pigs including those with only one or a few pigs. “This includes absolutely no feeding of scraps or kitchen waste or feed intended for other species (eg, cat or dog food) to any pig. “In some parts of the UK we have wild boar and preventing access of these animals to scrap food (in roadside bins for example) is essential as disease in these animals would be harder to detect giving more opportunity for the disease to spread. What would happen if ASF was detected in the UK? The strategy would be to control, contain and eliminate infection by restricting infected premises, prompt culling of pigs on affected premises, movement controls in the affected area and tracing of source of infection and possible spread, APHA said. NPA chief executive Zoe Davies reiterated APHA’s advice and said any incursion would have a devastating impact on UK. Affected farms would lose stock, large parts of the country could face movement restrictions and it would be the producer’s responsibility to pay for secondary cleansing and disinfection, she said. “We would also lose our export market overnight, so the impact on trade would be significant, especially post – Brexit when we are no longer part of the EU. If the virus got into our feral pig population, it would become virtually impossible to prove disease freedom and it would be many years before we could resume exports,” she added. She welcomed APHA’s public awareness campaign but urged it to be ‘far more proactive in dealing with the feral pigs now, before the population expands further’. It should consider the consequences a disease incursion would have in its risk assessments, she added. The NPA is stressing the need for the Government to maintain and enhance its disease surveillance and biosecurity controls at points of entry to the country after we leave the EU. Defra said it was working to secure ‘robust protection against pests and diseases from day one’ of Brexit. A spokesperson said: “It is essential we maintain the highest standards of biosecurity and disease surveillance and continue to protect our borders from pests and diseases. We are working to secure the best EU exit deal that balances frictionless trade in animals and plants with robust protection against pests and diseases from day one.